I’d like to imagine that Microsoft HQ is flashing red right now – that faceless lackeys are running around half-naked screaming ‘GODZILLA’ into the sky. That cabinets are being overturned, SmartGlass devices symbolically shattered against the wall, like something out of a comedy newsroom. I’d like to imagine anything other than the reality – which is that a dedicated group of workers have poured their hearts and souls into a console that just doesn’t seem that good. I’ve seen too much footage of Microsoft’s Redmond employees looking happy over the last few weeks to rejoice: schadenfreude will have to wait – this is just sad. 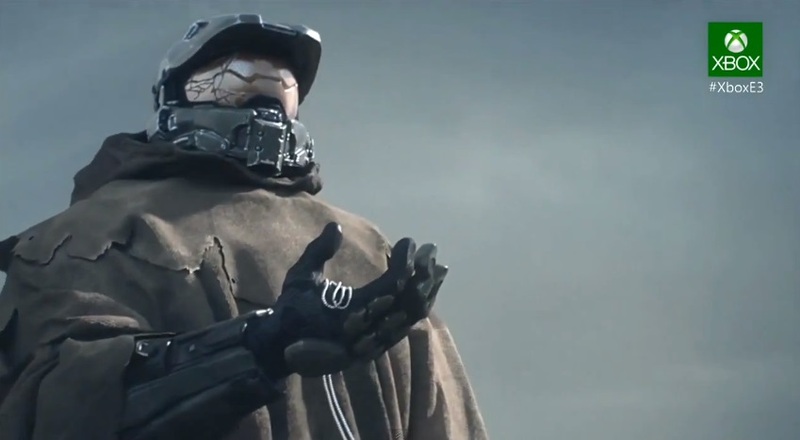 I made my thoughts clear on the Xbox One’s woeful reveal a fortnight ago, surmising that Microsoft had a lot left to prove at E3, and now, in light of the expo’s first day, it seems like they’ve only left themselves with more to prove. The concerns raised following the console’s unveiling – those of used sales, online capability and indie support – were shirked in Microsoft’s conference. The emphasis was on games and little else; a turnout that would have been welcomed with open arms at any other E3 conference, but not here. Microsoft had too much weight on their shoulders, and they did little to unburden themselves. Gurning suits once again returned to the stage to tell us how excited we should be for a console debuting at £429, with little mention of what that £429 would actually afford us. The games look nice, sure, but do we even own them? Do we even own the system anymore? The concern stretches to its logical extreme now that we’re facing the ‘death’ of the Xbox 360 and Playstation 3: what happens when that last spark dies down in Redmond, and the servers go offline? Believe me; I’d love to support the continued madness of SWERY 65, and get lost in Dead Rising 3 – not least because of the recent release of State of Decay – but with so much of the Xbox One’s infrastructure left to guesswork and hear-say, I can’t willingly meet such a high price point for a device that I might not even have control over. It’s this idea of ‘control’ that seems to be defining the next generation. The facts of Microsoft’s approach are still struggling beneath layers of red tape and tabloid journalism, and whether true or false, Microsoft’s perceived image at the moment is as a company unwilling to give its customers rule over their own device. Microsoft’s console is quickly becoming the two-toned black box from hell, a device that threatens to eat your soul by virtue of being in your living room. As is natural with such a large investment, Microsoft are unwilling to backtrack, least of all decry their own failings, so they’re forced into the awkward position of ignoring the hatred. Fingers in ears, backed up against the wall and screaming ‘la la la’, the Xbox One is unfortunately becoming the bona fide ‘bad guy’ of the great console drama, whether it deserves to or not. Two weeks ago, I expressed my hopes for a return to the days of the ‘lifestyle’ console. Not in the sense of a device that ties in neatly with your current lifestyle, but one that promises another. I had hoped that Microsoft would learn the lessons of the first Xbox, or even the Playstation One: the consoles that said a thousand words with their start-up screens alone. Both Sony and Microsoft’s formative efforts seemed to stumble into success – they were cryptic, near-mythical lifestyle devices that goaded us into believing that videogames could be so much more. Through equal mixtures Eastern philosophy, Chris Cunningham and LSD, they became cool. The Xbox One, on the other hand, is defined by bullet-points and a pornographic fixation on numbers and stats, peddled like bare flesh to the gawking teenage masses. Microsoft did a great job of keeping us aroused, sure, but with little but gurning gits in suits behind the curtain, it’s no surprise we’ve been left frustrated. 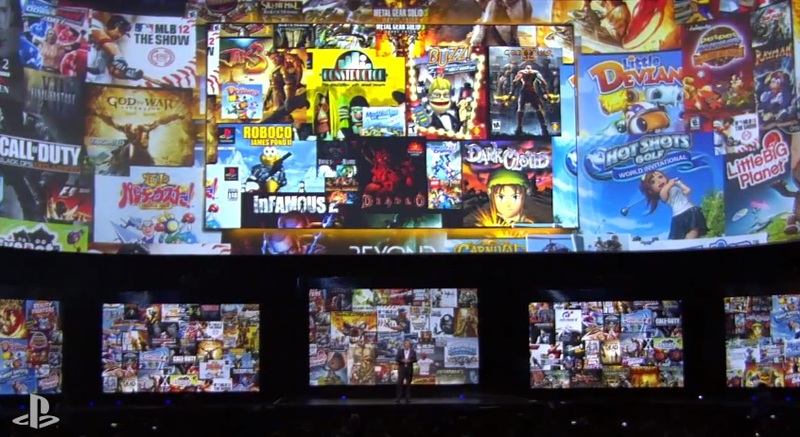 Sony, however, have obviously learned from the Xbox One’s failings, and in their stead produced one of the most interesting and uplifting E3 conferences of recent years. The PS4 is cryptic in its promise, but set in its message: this is a device defined by asynchronicity; the ability to do what you want, when you want. Image is half of the battle, and regardless of how the PS4 turns out, Sony’s image in the public is nothing but saintly right now. They’ve taken control of their own brand while simultaneously giving control to the consumer, and at a £349 price-point to boot. Again, it all comes down to control, or at least the illusion of it. Sony managed to sell us the same trading and publishing model every console has adopted since the beginning of time, and make it seem new. So much ground has been lost in Xbox’s court, we’re just happy to be back in the middle – so much so that we’re even willing to let the whole Playstation Plus issue slide. Sony has again promised us a fresh lifestyle, something tangibly needed. Support the Indies. Play blockbusters. Watch films. Hang out with friends. Familiar as it all may sound, when it’s poking out from behind the intimidating glare of the Playstation logo, it all seems necessary once more. Orwellian though it may sound, I can’t help but feel like that logo has our best interests at heart. As John Teti notes, Sony weren’t afraid to talk to us like human beings (you know, those strange entities with culture and feelings); to appeal to emotion and present their device as something more than a table-warmer. Mentions of Giant Enemy Crabs and their ilk reminded us that Sony isn’t divorced from our culture: that they’ve seen those Youtube videos, and maybe even laughed along with us. False or not, it gives them a warming appearance; an effect amplified by the decision to give indie developers an extended spotlight on the stage, or even the simple decision to give their machine a few angles, so that it doesn’t suffer from the Xbox One’s overwhelming lack of personality. Mileage will vary, but I place a lot of stock on design. Holistic approaches to a device always appeal to me so much more than elevated function – which is probably why I’ve always held a soft spot for the likes of the GameCube and the Dreamcast. 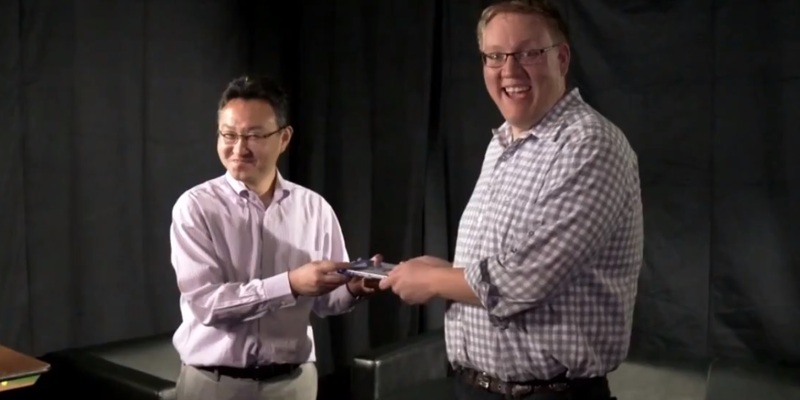 Yesterday, Sony appealed to that soft spot once more. We’re the ones in control, here. I’d like to think I’ve long outgrown the console war mentality. We don’t have these consoles yet, and we won’t for a good few months – a good few months in which anything could happen – and yet after yesterday, I can’t help but jump into the flame-pit and declare a winner. The Playstation 4 has Octodad, so it wins. 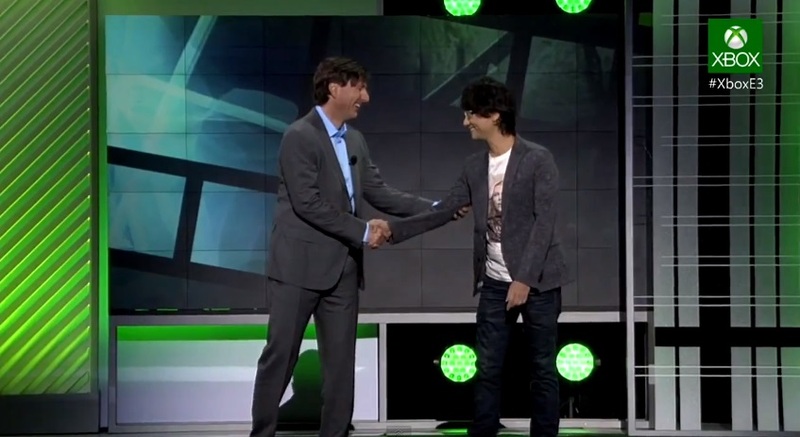 This entry was posted in Videogames and tagged Don Mattrick, E3, gaming, gurning, Indie, Playstation 4, Xbox One. Bookmark the permalink.